Texas Contractors License Test Preparation: HVAC, Mechanical, Electricians | Construction Data Inc. Looking to get your contractors license in Texas? Construction Data Inc. offers proven test prep for license exams, plus continuing education for contractors. Get prepared with our three-day live instructed course. How does the licensing process work in Texas? Construction Data Inc. has been assisting contractors and journeymen with obtaining their licenses since 2004. By providing the best preparation for state exams, we have become a trusted source for Texas licensing. 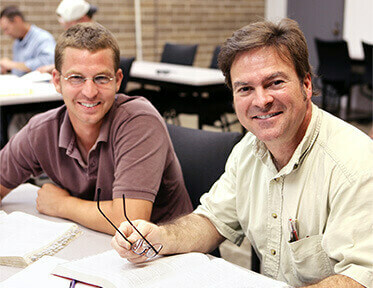 We also offer continuing education for HVAC and electrical contractors. "I just wanted to send a note to let you know that I passed both “B” tests this week, thanks to your FANTASTIC Seminar. Your program made me MUCH more confident and we discussed more than 90% of what I saw on the test." "I took your course this weekend in Houston. Three days of prep made all the difference. I passed my test this morning and want to thank for your help. The test was indeed difficult but using your methods and advice I passed with flying colors. Thanks so much." "Thank you for your dedication to staying up to date with the material. I will highly recommend your class to anyone taking the state exam."